Met on arrival and transferred to your hotel. Stay at hotel Hans Plaza for two nights (First class modern hotel). Morning assisted transfer to the rail terminal to board your train to Sawai Madhopur. Delhi - Sawai Madhopur - Golden Temple Mail - (second air-conditioned sleeper class). Met upon arrival in Sawai Madhopur and transferred to your hotel in Ranthambore (12 kilometres, approximately 30 minutes driving distance) Stay at Tiger Den for 03 nights. Wildlife Resort In the afternoon enjoy a game drive. 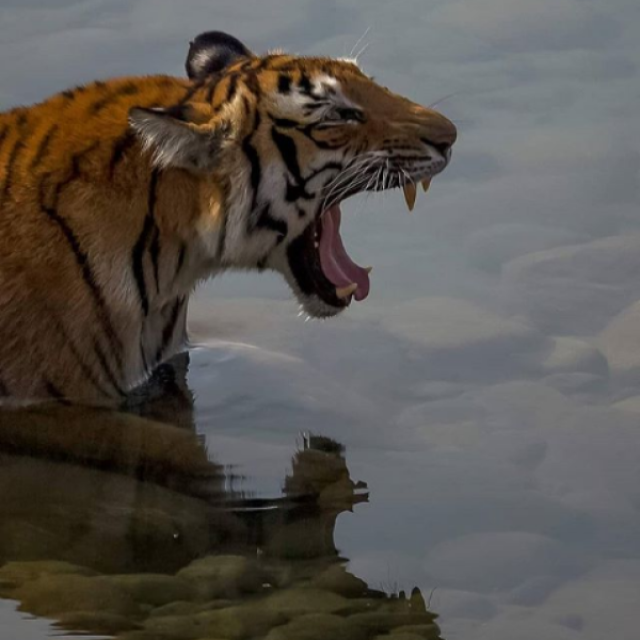 The Ranthambore National Park, at the junction of the Aravallis and the Vindhyas, is a unique juxtaposition of natural and historical richness, standing out conspicuously in a vast arid and denuded tract of eastern Rajasthan, barely 14 km. from the town of Sawai Madhopur. It is spread over a highly undulating topography, varying from gentle to steep slopes, from flat-topped hills (Indala, Doodh-Bhat and Chiroli) of the Vindhyas to the conical hillocks and sharp ridges of the Aravallis, from wide and flat valleys (Lahpur, Nalghati, Khachida, Anantpur etc.) to narrow rocky gorges. An important geological feature, the "Great Boundary fault" where the Vindhyas were brought against the ancient Aravallis, passes from here. Enjoy a game drive early in the morning. Return to your lodge for breakfast. Visit the Ranthambhore Fort, and the Ranthambhore School of Art. In the afternoon enjoy a game drive. Morning enjoy an excursion to Amber Fort which is ascended on elephant back. Enjoy a sightseeing of the city in the afternoon. (It includes Sawai Man Singh Museum, Jantar Mantar - Observatory, Hawa Mahal and the colourful bazaar of the Pink city). The royal city at Fatehpur Sikri, situated 26 miles west of Agra, was built at the orders of the Mughal Emperor Akbar. While Akbar himself was illiterate, he took a keen interest in literature, architecture, and the arts. He is also reputed to be a very tolerantruler, and the buildings at Fatehpur Sikri blended both Islamic and Hindu elements in their architectural style. One of the buildings even reflects the new sycretistic faith founded by Akbar, Din-e-ilahi, which though very short-lived remains a matter of controversy. You will be met upon arrival and transferred to Bandhavgarh (32 kilometres, approximately 1hour driving distance) Stay at Tiger Den Resort for three nights. Wildlife resort. 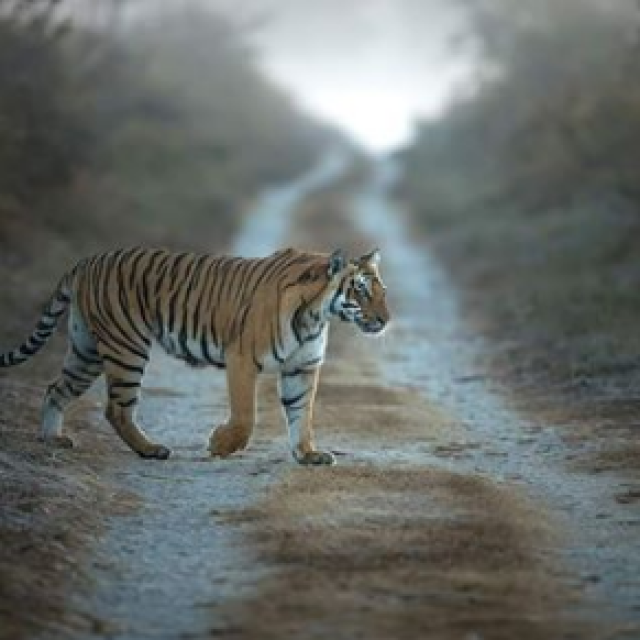 Afternoon enjoy a game drive in the National Park.The density of the tiger population at Bandhavgarh is relatively high. The possibility of spotting Sloth Bear, Wild Boar, Leopard and Tiger is very good. The park is also densely populated with animals like the Chital (Spotted Deer), Sambhar, Barking Deer, Nilgai (Blue Bull), Chowsingha (Four Horned Antelope) and is rich in bird life. The terrain is rocky, rising sharply from the swampy and densely forested valley. The finest of these hills is Bandhavgarh which is bounded by great cliffs and eroded rocks. The Bandhavgarh Fort, believed to be 2000 years old, stands at the highest point. There is a temple at the fort that can be visited by jeeps. Scattered throughout the park, particularly around the fort, are numerous caves containing shrines with ancient Sanskrit inscriptions. The ramparts of the fort provide a home for vultures, blue rock thrushes and crag martins. Morning enjoy a game drive in the National Park. Return to your lodge for breakfast. Later travel by car to Kanha National Park (325 kilometres, approximately 6 hours driving time). Kanha is one of India's largest national park and Asia's finest park. India's one of the most successful conservation efforts of saving the Barasingha (Swamp Deer) was done here. 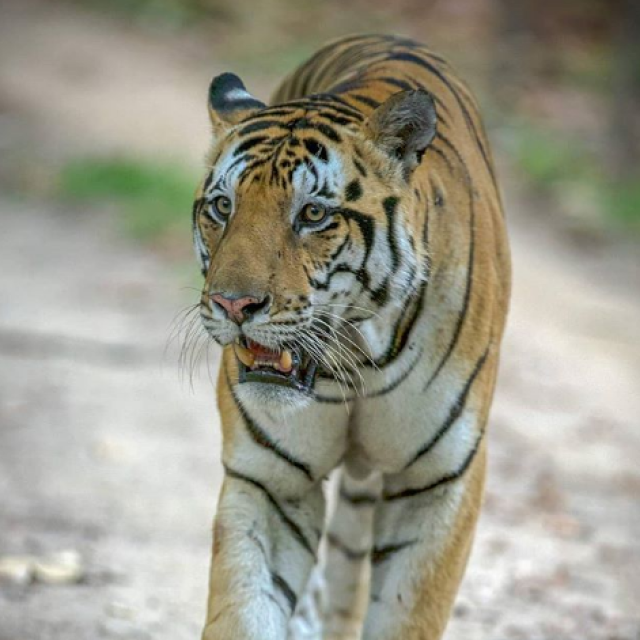 Kanha National Park covers an area of 1945 sq kms including a core zone of 940 sq kms. The setting of Kipling's 'Jungle Book', it is a beautiful area of forest and lightly wooded grassland with many streams and rivers. It is the home of a variety of animals including tiger, panther, and many species of deer, wild pig, bison, a variety of monkeys and other animals besides some 200 species of birds. It is also part of 'Project Tiger,' one of India's most important and successful conservation efforts. Overnight in Royal Tiger Resorts Kanha. Breakfast, Lunch and Dinner at the Lodge. 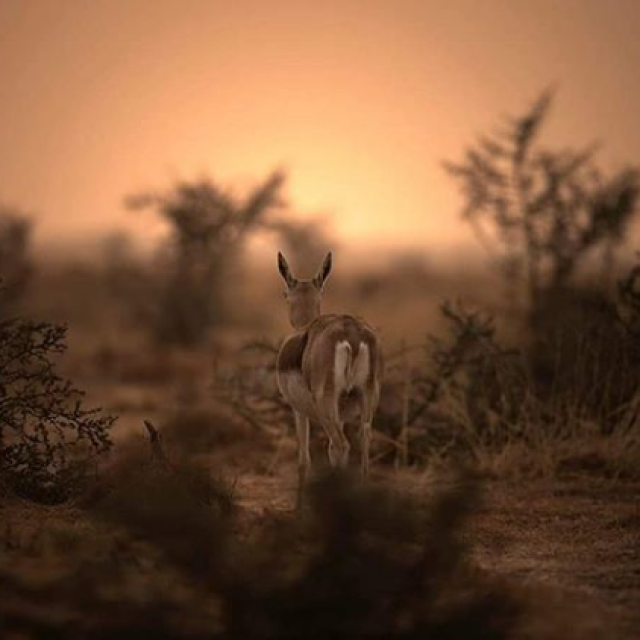 Game drives are organized by The Park both in the early mornings and late afternoons by open jeeps and will be accompanied by a trained naturalist. Once the tiger is spotted anywhere in the jungle, through radio contact with the drivers, visitors will be driven to the location and then taken by elephant back to the actual site to see the tiger. This is an excellent arrangement and is very exciting. The park is closed between July 01 and October 31 owing to the monsoons. Morning and afternoon proceed on a game drive to the sanctuary. Overnight in Kanha. Breakfast, Lunch and Dinner at the Lodge. Morning and afternoon proceed on a game drive to the sanctuary. Morning after breakfast travel by car to Nagpur (250 kilometers, approximately 6 hours driving distance) to board your flight to New Delhi. Met upon arrival and transferred to your hotel Ashok Country Resort for the day. Later depart for the airport to leave for your respective homes.